Simon & Schuster, 9781439157992, 208pp. Hello, I am Mike Birbiglia and I want you to read my book. Too on the nose? Sorry. Let me dial it back. I’m Mike Birbiglia and I’m a comedian. You may know me from Comedy Central or This American Life or The Bob & Tom Show, but you’ve never seen me like this before. Wait, that’s the name of another book. Also I’m not naked as there are no pictures in my book. Also, if there were naked pictures of me, you definitely wouldn’t buy it, though you might sneak a copy into the back corner of the bookstore and show it to your friend and laugh. Okay, let’s get off the naked stuff. Some of the stories are about my childhood, some are about girls I made out with when I was thirteen, some are about my parents, and some are, of course, about my bouts with sleepwalking. Bring this book to bed. And sleepwalk with me. “Insightful, heartfelt, and comedic—what more could you want from a book? 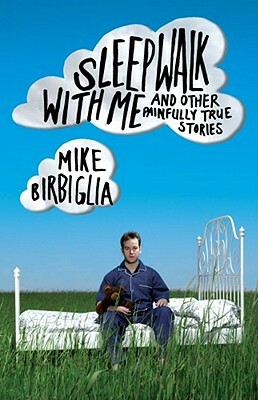 Mike Birbiglia is a unique and wonderful new voice in American theater and letters.” —Jonathan Ames, creator of HBO's "Bored to Death" and author of The Extra Man and Wake Up, Sir! “Mike is my favorite kind of hero in his stories: always self-aware, usually awkward, sometimes sad, but never cynical or bitter. The truths he unpacks from his life ring like a bell.” —Adam Savage, co-host of Discovery's "Mythbusters"
"Charming, brainier than he’d probably admit, and frequently poignant in spite of himself, Birbiglia throws together an alternately rollicking and warm handful of stories; the lengthy title story, of his struggle with a sleep disorder, is as fascinating as it is hilarious."